Saturday June 22nd & Sunday June 23rd, from 10am to 4pm. Registration forms are reviewed and accepted in order of receipt. You will be asked to select their top 3 locations. Every effort will be made to accommodate your requests. Priority will be given to those who apply and pay first. Yes ALL returning artisans must apply again and send in 3 new photos and artist profile on the "new" application form. The cost to participate is $150.00 for the weekend. All artisans will be provided with a 10x10 space ONLY additional space - beside your tent can be purchased if permitted. Set up and take down details will be sent to you via email once accepted in to this year's event. No power will be available. No or limited wifi. Please use your cell data/3G for sales. Please ensure you pack up your items on the Saturday. You can leave your tent and tables, walls on your tent etc. Security will be provided but we are not responsible for your tent & valuables left onsite unattended overnight. Artisans are required to remove any and all garbage, leaving their tent site clean and clear. Artisans are responsible for obtaining their own insurance. Nanoose Bay Art in the Garden insurance does not cover artisans, or theft, weather & breakage/damage of your goods. No refunds after June 1st 2019. 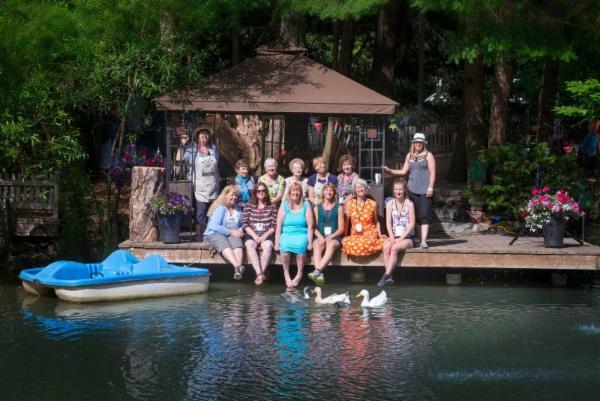 Thank you from the Nanoose Bay Art in the Garden Committee! 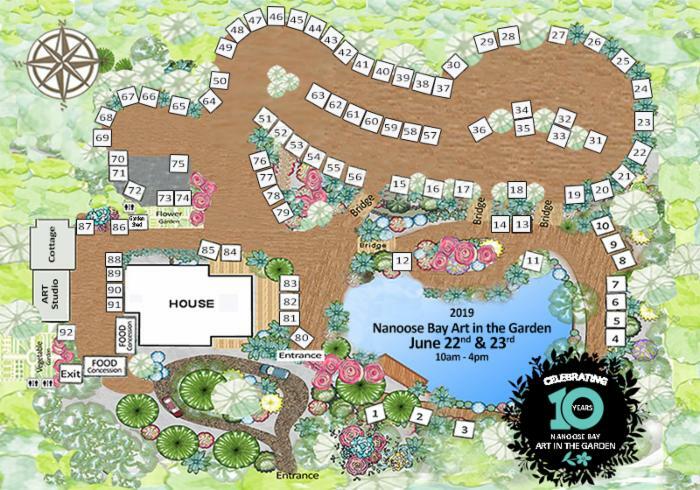 PLEASE NOTE: Once you have filled out the application and clicked the "SUBMIT" button, you will receive a message that reads: Thank you from the Nanoose Bay Art in the Garden committee! Your application has been submitted! and you will have the option to download a pdf file of your application. 2019 Garden Map Please specify your 1st 2nd and 3rd choice of where you would like to be located in garden on the online application form. We are now at FULL capacity in the garden for Artisan/Vendor applications. We are still accepting Food vendor and Musician applications. Artisans will be placed on the waiting list if any spots become available and once accepted you will be sent a welcome email .